Search for the best flight prices from Manchester to La Rochelle. Compare prices, book today and save money with Manchester Airport. Sitting bang in the coastal centre of the Bay of Biscay, La Rochelle can count itself among the most picturesque and historically rich spots on the entire Atlantic coast. Much sought-after over the years (from the Huguenots to the invading Germans), it's bathed in the warm waters of the Gulf Stream, creating a surprisingly good climate on a par with far pricier locations on the Med. Must see: Take a boat trip from the nearby Ile-d’Aix to the legendary offshore Fort Boyard, a jaw-dropping stone-built maritime fortress once home to 250 servicemen... and much more recently home to the TV game show of the same name. 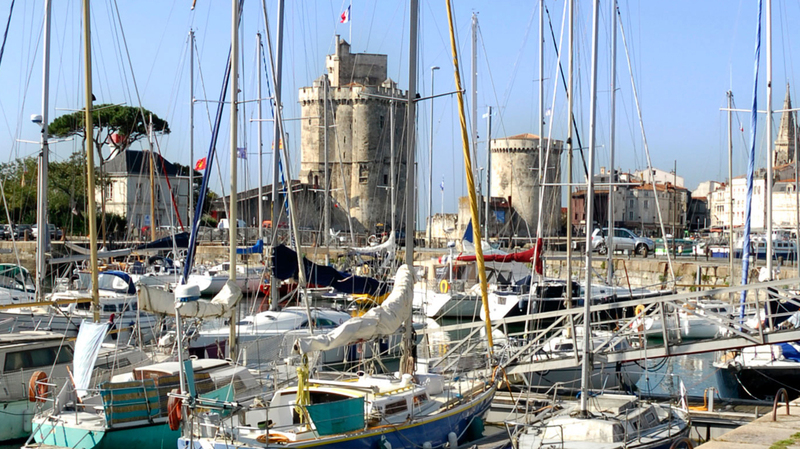 A major port city throughout the Middle Ages, La Rochelle still retains a strong individual character. The Vieux Port area, with its historical towers and old lighthouses, is the town’s main focal point, and there are good hotel options in the vicinity. The 26-room Hôtel Atlantic (23 rue Verdière) is located just 50m from the port, while the sleek La Monnaie Art & Spa Hôtel (3 rue de la Monnaie), located in a 17th-century building, actually overlooks it. And if it’s top-tier comfort you’re after, the five-star Résidence de France (43 rue du Minage) also has an outdoor pool. La Rochelle has long been celebrated for its independent spirit, and many of its shops share the free-thinking outlook. Great little boutiques like Pourquoi Pas (21 rue St Nicolas) and Matlama (61 quai Louis Prunier) are good for quirky one-off pieces, while the arcaded Rue du Palais is full of diverting stores located in old sailors’ houses. Elsewhere, the covered market (Place du Marché) showcases a wealth of fresh produce, and the well-stocked shelves at nearby L’épicerie d’Annabelle (4 bis rue des Trois Fuseaux) are similarly ideal for picking up local delicacies, from jams and terrines to tapenades and olive oils. Unsurprisingly there’s excellent seafood to be had in La Rochelle – try Les Flots (1 rue de la Chaîne) or the atmospheric André (5 rue St Jean du Pérot) for proof. The local oysters are renowned. Visitors with young families are advised to bag a table at Le Café de l’Aquarium (Quai Louis Prunier), which serves top-notch set menus as well as being ideally located for the aquarium itself. La Rochelle also sits close to the heart of the Cognac region, making it a fitting place to sample the world’s most famous brandy and its close cousin, the aperitif Pineau des Charentes. The Red Bull Cliff Diving World Series includes La Rochelle on its annual tour. The occasion sees divers leaping off the 14th-century St Nicolas Tower in front of crowds of more than 50,000. A truly spectacular occasion. The Fête du Port de Pêche is a one-day celebration highlighting La Rochelle’s maritime heritage, as well as showcasing the important role the port still plays today. It gives a chance to meet fishermen, sailors and fishmongers, sample fresh seafood and enjoy live music. Only Cannes draws more annual visitors than La Rochelle’s film festival, which has a 40-year legacy and includes a balanced programme of French and international works. Unlike Cannes, there’s no grand prize, but it still attracts big names from the cinema industry. A well-established summer music festival geared primarily around French-language song, Francofolies runs for five days each year and puts on a series of concerts at different venues around town. Rock, pop and folk all feature. This weekend of jazz performances has a reputation for rearing new talent – the festival hinges on giving amateur musicians the chance to play on a live stage. It’s held in the Museum of Natural History.